For nearly any task you can think of, there are probably multiple software solutions available to meet that need. Deciding which one to use requires research to find which one meets the needs of the project, has the most features and of course comes with the right price. Unfortunately, sometimes the software is only needed for a very limited number of uses or a rare occasion. In these instances, it is hard to justify signing up for a monthly recurring subscription or spending hundreds of dollars up front. Since pdf files are so popular, it is possible you may inherit one at a job or find an example of a document you like but want to make some changes. If you need to edit a pdf once or only on occasion, consider using Microsoft Word rather than purchasing additional software. 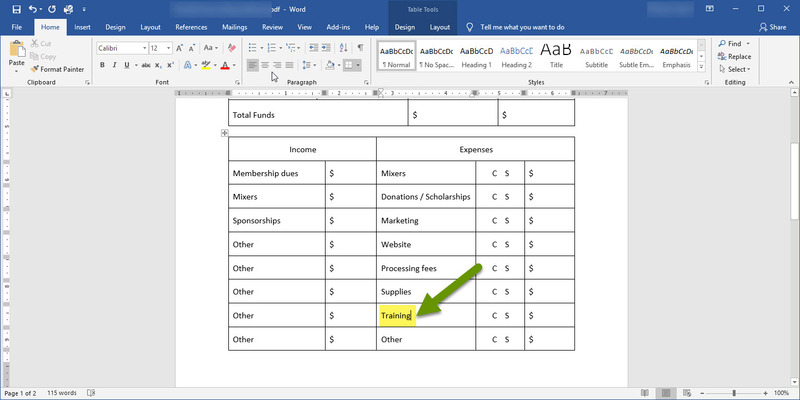 With Office 2016 or 2019, Microsoft Word can edit pdf files. 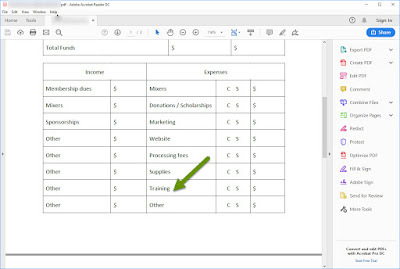 Using Word to edit a pdf will not provide all the same functionality as a pdf editor like Adobe Acrobat, but it might be enough to meet the needs of smaller and less frequent projects. 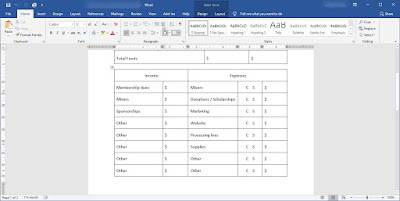 The greatest benefit is that if you already have a recent version of Office, using Word as an editor to see if it does what you need costs nothing but a few minutes of time. 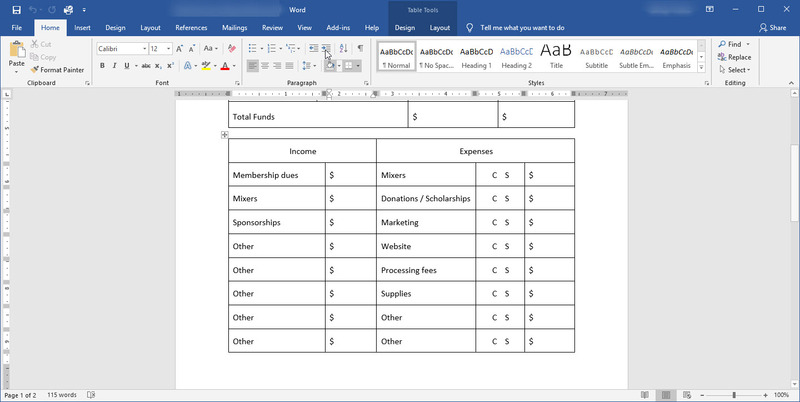 Open Word and click the link on the bottom left to "Open Other Documents". 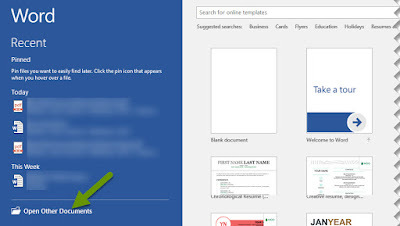 Browse to the pdf file to edit and click "Open". Word will prompt with a notification that it is converting the pdf into an editable Word document and may take some time. Click "OK" to convert the file. A second popup explains that not all features are supported. Click "OK" to open the file. Once the file is open, most objects can be edited, moved or deleted. 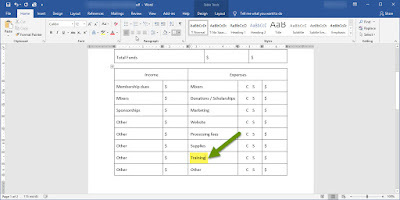 Edit items the same way you would a normal document. 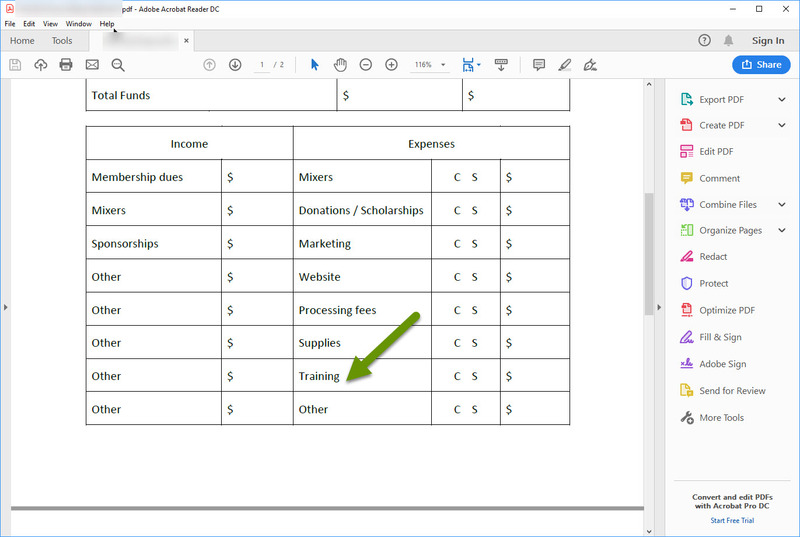 In this example the wording was changed in the Expense column yet the form remained intact. Continue to make all necessary changes. When all edits are complete, save the file as a .pdf file using the "Save as" feature. Note: Save the file with a new name to preserve the original file. Open the newly updated file with Adobe Reader or a web browser that supports pdf files. The new pdf file should reflect the edits made in Word. There are many reasons for using pdf files. Information can be protected so it cannot be modified by anyone which is important for state and government documents, HR departments, contracts and much more. PDF files also maintain their formatting so even when they are opened on smaller devices like smart phones, they are presented as intended. Lastly, sending a document in pdf format guarantees that the end user can view it without purchasing special software making pdf files far more universal. As always, even the most useful technology tools can be made better if we know how to efficiently customize them for our unique needs.